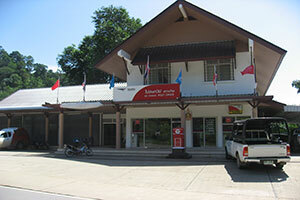 The official Post Office is located between Haad Sai Khao (White Sands Beach) and Chai Chet. In addition to the main post office all towns have a mailbox. It is also possible to leave post at the reception of most hotels and resorts for posting. 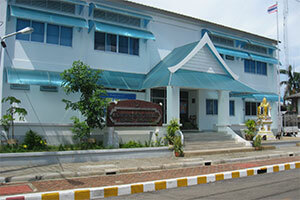 The nearest immigration office to Koh Chang is located in Laem Ngob, Trat. The National-Park head office is located on the southeastern side of the island opposite the entrance to the Mayom Waterfall. There is a small restaurant and a museum near to the park office where visitors can get information about the rainforest and some of Koh Chang's history.